We have already seen an Amsterdam hotel offer a feast of high street clothes on their room service menu, and now luxury hotel W London is adding music on demand too. The central London hotel has a curated selection of records on vinyl for guests to enjoy during their stay. Visitors are provided with a Crosley record player and a menu of items that they can order to their room alongside their club sandwich. The hotel already has an extensive vinyl collection curated by Radio 1 DJ Annie Mac, but a special collection of 40 records was curated by DJ Lauren to celebrate the 20th anniversary of the chart battle between Britpop nemeses Oasis and Blur. As well as the aforementioned music legends, the menu also includes the likes of Pulp and The Verve and newer British bands that were influence by the Britpop era including Arctic Monkeys and The Libertines. All the records can be borrowed for free by guests of the hotel. Sales of vinyl have increased impressively over the past few years as consumers seek a tangible alternative to streaming culture, surpassing one million in 2014. What other consumer trends could be incorporated into the tourist experience? 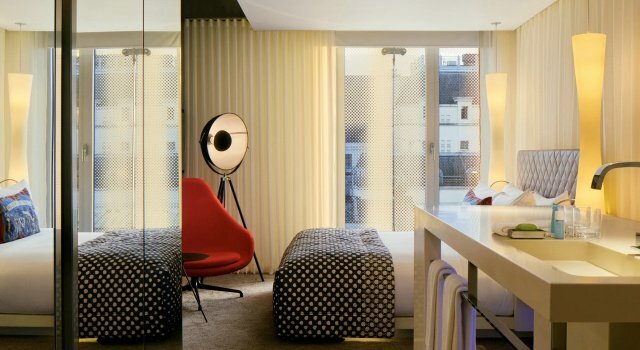 The post London hotel adds free vinyl to room service menu appeared first on Springwise.